Learn how to transfer your chosen images to a plate and then how to transfer this to paper or canvas using the etching press. You will learn various printing techniques and tricks of the trade to make your designs that little bit more unique and classy! Taking on what you learnt on day one, you will be shown how to transfer photographic images of your choosing to a plate. Liam will be there every step of the way to make sure that the sentimental or favourite images are printed to a high standard. 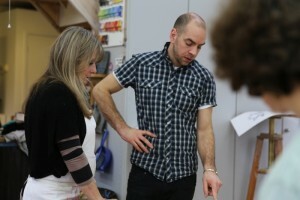 Having completed the course there are possibilities for you to continue to explore etching further. Liam can advise you in where to source materials and we do organise the occasional Creative Monday Evening session where Liam will provide his etching presses for you to use unguided. You can pre-prepare your etchings at home and bring them to the studio for the pressing! The possibilities of etching are infinite. It’s easy to pick up and gives you professional looking results straight way – you’ll be hooked immediately!